A Dream of Wessex was first published in 1977 and remains in print, both as a paperback book and as an ebook. Wessex has been repeatedly optioned over the years, with many good attempts to adapt it for the screen, but so far no project has gone beyond the screenplay. All film rights are currently available. 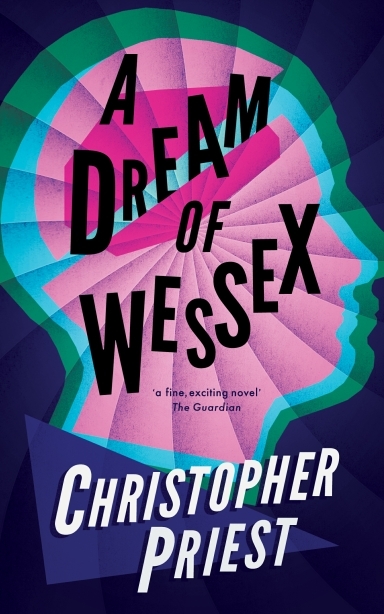 The story of A Dream of Wessex has been described by several commentators as noticeably similar in outline to Christopher Nolan’s film Inception (which was made in 2010, thirty-three years later). The similarities are in fact only incidental. Wessex describes a scientific experiment that brings into existence a consensus imaginary future so real-seeming that the people taking part in the project are able to live and work in their future society. The central character is a young woman scientist getting over a recent bad relationship, escaping, as she thinks, into a world where the past will no longer matter. Reviews of A Dream of Wessex.